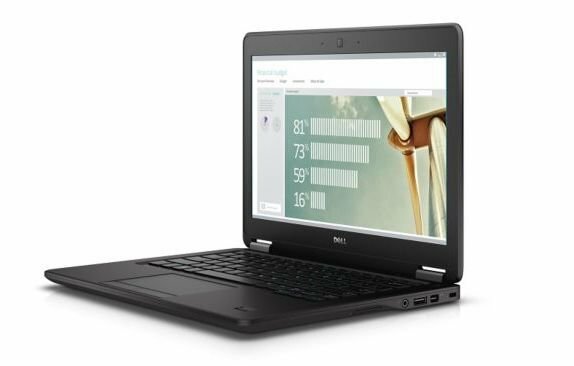 The Latitude 12 7000 series (E7250) from Dell is really an ultimate business oriented Ultrabook. Even though the making may be appeared to be bulky, it will be liked by users who want something like magnificent functioning and multi-tasking. A three year warranty, ability to be upgraded, removable battery, use friendly keyboard and various wireless connectivity features will make it a favourite option for enterprise users. Latitude 12 7000 from Dell is an outstanding business Ultrabook. It comes with number of ports and is pre-loaded with various security options. The closest competitors to this 12.5 inched laptop come from HP with its EliteBook Folio 1020 G1 and Lenovo with its ThinkPad X250. Another competitor is Apple with its MacBook Pro featuring 13 inched Retina display with higher resolution but do not have touchscreen and enterprise oriented features. The external case of Latitude 12 7000 series is perfectly strong with carbon fiber lid, metallic covering and black aluminium trim. It also has a sturdy hold, giving it right balance when you lift it up. The dimension of the device measures to be 12.2*0.79*8.3 inches and having a weight which is just below 3 pounds. But these doesn’t make Latitude 12 neither the slimmest nor the lightest notebook. The weight of Latitude is more when compared to that of HP EliteBook which is 2.68 pounds, Folio 1020 G1 which is 2.68 pounds and Lenovo ThinkPad with 2.9 pounds. The bulky design of Latitude 12 7000 series is due to inclusion of number of ports and certain adapters to the device. The device comes loaded with HDMI port, Power Connector for recharging, Ethernet and two USB ports of v3.0 on the rear side. When it comes to the right side, you can also see another USB port with v3.0. This side is filled with Mini DisplayPort, and other features like Audio and SD Memory Card readers. The only drawback is the absence of VGA port, but this problem is sorted with the help of an optional Mini DisplayPort. The screen of Latitude is 12.5 inched with HD touchscreen specialty. They are perfectly connected to the base with the help of strong and sturdy hinges. Another noticeable factor is the presence of three LED Indicator Lights, with the help of which you can receive alerts on Power, Hard Drive and Battery Status even if the laptop is closed. The manufacturers claimed that the new notebook is designed to work under harsh conditions. Inorder to prove this, Latitude 12 7000 is advertised to pass MIL-STD-810G testing. They did it by exposing the device to various environment conditions like higher and lower altitudes, high temperatures with immediate drops, exposing it to acidic as well as saline conditions and so on. Certain other mode of testing includes exposing it to sand, dust, humidity and many more conditions. The chipset comes from the Intel featuring Dual Core i5-5300U with a processing speed of 2.3GHz. It is supported by Intel HD Graphics 5500 for extended creative functioning especially by professional users. The storage of the device is handled by 256GB Solid State Disk with a RAM of 8GB. The camera comes with 720 pixel HD Webcam for WiGig. The connectivity with the device is offered by Intel tri-band 802.11ac WiFi along with Bluetooth v4.0. The operating system comes from Microsoft with Windows 8.1 featuring 64bit. The basic configuration is priced at $1079. 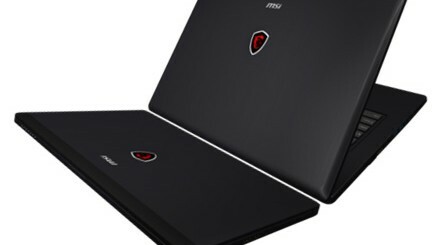 But the highest configuration laptop is priced at $2573 when it is packed with Intel Core i7 Broadwell processor with 16GB RAM and 512GB hard disk. Latitude 12 7000 series is packed with a HD 1080 pixel touchscreen. The base settings come at 1366*768 pixel panel. But both these options lack QHD and Retina Display which are present in rival notebooks. For instance the HP EliteBook comes with 12.5 inched screen with 2560*1440 QWHD feature. But the Latitude Screen can be tilted to a maximum of 1800, which in other similar laptops is absent. Latitude is somewhat resistant to antiglare effect. The brightness of 30%-40% indoor and 50%-70% outside can prevent glare, while the competitor laptops have to set it at 50-70% indoor and 80-100% outdoor. The keyboard of the latest Latitude comes with a feature known as Spill Proof. It means that the device can resist accidently spilled water over the keyboard. The device empties the water by way of directing it to small drainage opening which can be seen at the bottom of the device. This helps in preventing further damage happening to laptop. Another feature is the availability of Backlight with dual level of brightness. This helps in typing even in dim lights. Also the level of stiffness of the keys has been reduced, making the job of typing really enjoyable. The laptop is powered by Dual Core i5 Broadwell Processor from Intel. They perform as per the expectation of customers. There is no time lag in opening various files, folders as well as programs. Also multi-tasking is possible with opening a number of tabs in your browser. The laptop is packed with Intel HD 5500 graphics which helps Latitude to perform almost all computing tasks without any delay. But when it comes to high end games and creative professional tasks, then this won’t be a good option. The company promises that the laptop will be live enough for a day long with single charging. The battery of the device is packed with 4-cell battery which could deliver a power of upto 9 hours a day. Another feature offered by Dell is the Power Companion. It means, if the battery happened to get exhausted out of power, then you can remove the same and replace it another charged one, which is actually provided by Dell itself. It is not similar to Internal Bridge battery in Lenovo, which allows you to step to another power source without interrupting the functioning of the device. Other features offered by Dell are optional contactless NFC Smart Card Reader, Fingerprint Scanner, TPM, FIPS-certified hardware crypto accelerator, Dell Control Vault, Computrace and Dell Data Protection Encryption. 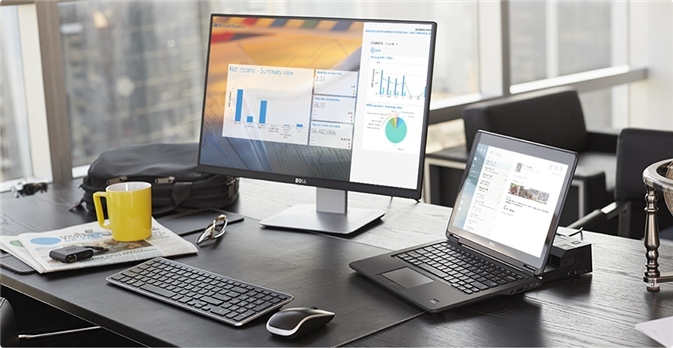 Dell introduces Latitude with a one year free subscription of Dell Data Protection (DDP) Security Tools and Protected Workspace. This inturn helps in safeguarding your data at all points which includes external media and public cloud storage. It is designed protect you from external malwares also. DDP Security Tools provides you an extra surveillance over your data. It also gives progressed BIOS management capabilities. This again allows IT administrators the ability to control BIOS remotely. This feature rivals the SureStart-the self-healing BIOS technology seen on HP EliteBook. Another option available with Latitude for protection is the ability to wipe out the entire data remotely if the laptop is stolen or lost provided it is powered on. Protection of your device is ensured by 3 Year Standard Warranty, offering services like ProSupport and ProSupport Plus. Both these warranty packages offers SupportAssist softwares that periodically scan your device for sorting out malfunctions. Availability of many ports for connecting variety of external devices. User Friendly keyboard with backlight facility. Removable battery with huge power capacity. Extended warranty which last upto 3 years. High pricing for the high end configured device. Lacks a dedicated graphics processor. Lacks high resolution display screens.